Let’s get straight to the point. 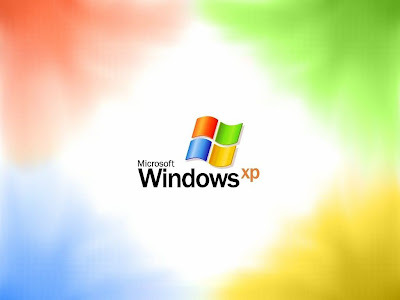 This Windows XP registry tweak will make your system boot much faster. How much? I can not say exactly how much faster, since it all depends on your computer specifications (processor, RAM, hard-drive and stuff like that…), but from my experience, this tweak decreased the time to boot-up for about 9-10 seconds. Now you see how great this registry tweak is and it will get even better when you see how simple it is to apply. I will do my best to show you step-by-step and make it plain simple and of course with screenshots included. 1. Click on “Start” on the taskbar. 2. Click “Run” located in the start menu. 4. Then click on “HKEY_LOCAL_MACHINE” and expand it. 5. Then click on “SYSTEM” and expand it. 6. Then scroll down, and expand “CurrentControlSet”. 7. Under that, expand “Control”. Let’s continue… You have just 6 more steps until the finish line! 9. When you have clicked on “ContentIndex” and it is highlighted and you see the options and parameters on the right side of the panel… Among those, you need to scroll all the way to the bottom and find the Registry key named “StartupDelay”. 10. Double-click on it and a new window panel will pop-up. 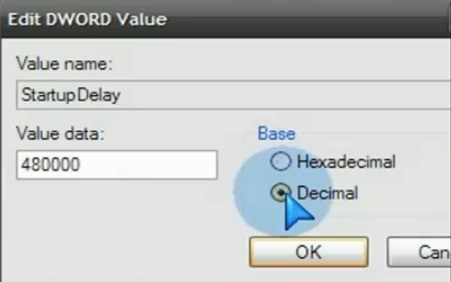 Now when you change it to Decimal, it displays a different value (480000 instead of 75300). Many people ask me if they can change it to an even smaller value than 40000, but I would not recommend doing that. I tested it and it doesn’t work. I did not feel any difference in boot-up time when I change it to value less than 40000 (and no, you can’t put 0 either). 13. After you’ve completed all the steps above, click “OK” and close the Registry Editor. Now you can notice big difference in time that your system takes to boot-up. Mine was faster for 10 seconds than usual. Thank. Such a great help!